Castings have been rarer, heading into the final two seasons of Game of Thrones, but we have two new pieces of casting info today. There is no character by the name Koner in the A Song of Ice and Fire novels, so we don’t have any help from the books. His CV lists his GoT director simply as “Various,” which can indicate appearing in multiple episodes. We should take that with a grain of salt, however, as sometimes, an agency will use ‘various’ as a placeholder for when they aren’t certain of who directed an actor’s appearance. Fans of BBC’s Dickensian may have seen Quinn before- he played the regular role of Arthur Havisham on the show. Thanks to PB for the Quinn casting find! The second casting has no role attached to it, unfortunately, but some news is better than no news! 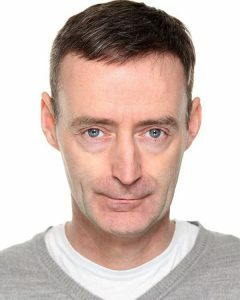 According to his agency CV, Irish actor Paul Ward has already filmed a role in season 7. Ward has appeared on Vikings and Penny Dreadful, among other shows. As for possible parts on Game of Thrones, there were several roles for men floating around in August– guards, lords, and more. Could these two be filling a couple of those spots? How do you guys hear of this stuff? Do you sense it when someone adds GoT to their CV? The first actor has Kit’s beady eyes lol. 😛 But he’d probably end up being one of those guards shooting in October-November. No idea about the second actor. I wonder if he could be the northern gate guard? The character is supposed to feature in “an excellent series of scenes”. The second actor has to be a Frey. The (frankly uncanny) resemblance to David Bradley around the nose and mouth makes me think he could actually be ‘the late’ Walder Frey himself in a battle of the trident flashback …. The gate guard was my first guess too, but he can also be a tall and handsome young lord (a potential suitor for Sansa or Dany, I assume). Is he tall? It’s hard to say, whether we are done with the Freys or not. Arya’s actions should cause a major turmoil in the Riverlands so Frey heirs and heiresses might still be needed for a scene or two. But on the other hand a Frey is not an only option. I think there was a casting call for a general or a coomander (presumably, someone to lead Cersei’s forces). That could be him. We just keep checking and looking and googling. 🙂 It helps to have readers finding things too and letting us know. And the older actor doesn’t resemble book!Marwyn, but I don’t think the ‘mastiff ‘ look is all that crucial to the characterization – only that he seems tougher and more roughhewn than your typical Maester. I’m just dying for confirmation that we will have our Mage, whether it’s this guy, Jim Broadbent or someone else. 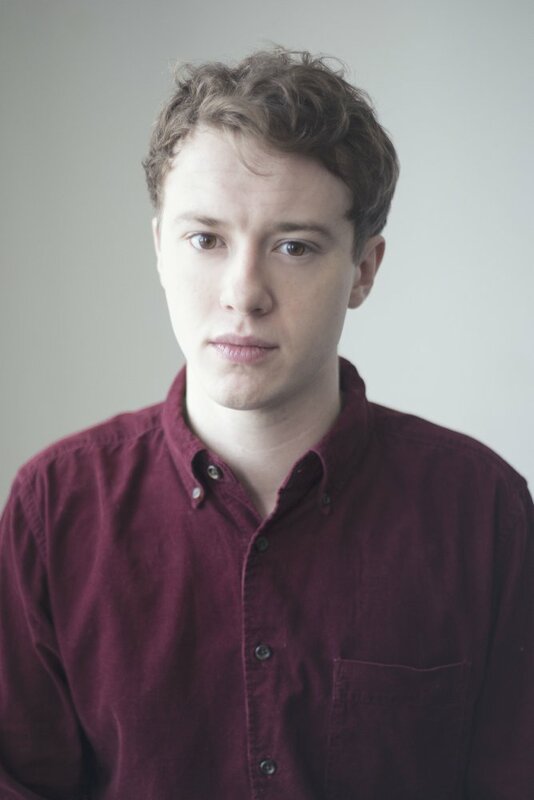 I thought the Koner guy resembled Aidan Gillen, so maybe a young Petyr (if he is involved in the flashback scenes). JPatch, you’re never done with Freys at any point of the story 😉 there are too many of them! Nice looking kid! And I like Paul Ward. Not even going to guess. I hope we get a premiere date soon. ghost of winterfell: I wonder if he could be the northern gate guard? The character is supposed to feature in “an excellent series of scenes”. Northern gate guard – hmmm, which would mean a contingent of Northern lords riding up to the gate of another Northern house and challenging this guy to be allowed to enter? Are there more Northern houses for us to see? Or could that role be a guard at Winterfell? I could totally see this guy with the Frey looks as a guard at some Northern gate. Totally off-topic but I didn’t know where else to post: I finally found and watched the Production Teaser being mentioned the last few weeks. It shows what an incredible amount of behind-the-scenes work goes into every aspect of GoT. One thing that caught my attention the most was the magnificent red and gold Lannister lion banner that was shown. At least I think it was a banner, it was being “unfurled” as though it was a banner, but it had the looks of a finely crafted, opulent carpet. Whichever it is, the richness of it gave the idea that Cersei has gone on a massive spending spree. Some scenes showed what looked to be new Lannister sword pommels, finely (expensively) carved and new armor. My first thought was that such things take time to craft, so obviously she rules for longer than I thought she would. The second thought was where in the devil did she get the funds for such finery? Per Tywin, the Lannister gold mine was kaput. Were there leftover funds from the Iron Bank? Poor old Mace must have done a fine job of negotiating terms a few seasons ago. Ah, this is a fantasy, so such minor points may go untouched. But from the looks of that teaser, Cersei is surrounding herself with some super-opulence before she goes down. Would guess the 1st one is from the Nothern storyline. 2nd one probably someone who’ll interact with Sam at the Citadel. I’m still holding on to hope that we’ll see a present day Howland Reed… though Ward does look like a Frey. I was talking of the first guy, not the Frey like one, for the northern gate guard. I think we will see other northern houses next season, particularly the Umber and the Karstark heirs, even though it’s hard to guess what a gate guard’s role would be. thanks for giving so much effort to find these kind of things! Looks like Maisie isn’t currently filming. Based on the fact that Ward has apparently already filmed his scenes, then I would guess at the General mentioned in the big casting call we saw back in August. As for Quinn, I like the idea of the Gate Guard due to film in October and November – that would fit in with the idea that he may possibly be in multiple episodes. If the gate guard is in multiple scenes with a northern accent, I would guess at him being at either Castle Black or Winterfell. I think it will be Winterfell gate guard. Just think of it how many people might have problems at the gates: 1) Brienne & Pod – she still carries the sword with the Lannister lion on the pommel; 2) another highborn gal with a sword and a boy (presumably, representatives of the families who had declared to the Boltons previously); the Brotherhood without Banners with Thoros of Myr – everyone knows that Jon doesn’t favour red priests anymore; 3) Bran – that would be easier but his arrival will still be a shock; 4) Arya – I see her ending the season in KL, but she might come to Winterfell first and probably in disguise. We can also expect the Tullies (Edmur, Roslyn, and their baby son), all kinds of messangers and envoys, and maybe even someone from the Dany’s crew or even Her Majesty in person, if the battle in the South goes really ill. So, the guards at the Winterfell gates will be busy, even if half of my predictions turn wrong. Maisie was in Belfast from Monday 3rd Oct through to Friday 7th Oct. There were several sightings/photos. That means she has been in Belfast for a part of every week since filming started. I’ve seen suggestions like this before, but I really don’t see why there would be flashbacks with him as a young person. We’ve already had extensive exposition about his backstory, and there aren’t any notable mysteries or unanswered questions there. In my mind he’s like the guard from Monty Python (except he’s at Winterfell). Given D&D’s obsession with Python references, I would not be surprised at all to see a character similar to this turn up sometime. IMDB says June 25th, 2017 fwiw. I’m pretty sure Joseph Quinn is the new lord of Highgarden, maybe a Hightower, Redwyne or a young cousin of Loras and Margaery. That’s a fan-supplied estimate. There is no announced or confirmed date of the season 7 premiere. I agree that we don’t need more Petyr, (especially dislike the LF caused Robert’s Rebellion theory), but that guy’s pic reminded me of Gillen. Quinn is almost certainly the ‘Gate Guard’ and Paul Ward looks like the ‘General’ – but that’s only because I can’t see Broadbent as being anything other than the ‘Priest’. Oh, you dislike the theory about Littlefinger’s part in Robert’s rebellion? It would be interesting to know why (I rather liked that theory, so it would be helpful to hear some motivated criticism). The description of the Gate Guard fits perfectly with the talented Mr. Quinn (‘great face’ he most certainly has, a very expressive and engaging young actor, defo one to watch) and the filming dates match his current theatre work. At this point, there really is no reason to think new bit castings are for characters that have appeared in published books. We shoild be getting Winter and Spring plot material, and presumably the story from one or the other. I doubt that it is going to be another story about the compromises of alliances, so I would lean toward part 1of whatever the Spring story is. maybe koner will be young griff? Griff could be Rhaegar’s and Jon can still be a Stark, since if he is dead then the male line of house stark is extinguished. The Order of the Greenhand channel on you tube has a funny video on how some of the main characters will react to Jon being a Targ and some others about him being King of the North. It is way too late to introduce those characters. The show seems to be skipping ahead to the pro-Targaryen coalition uniting around Daeny. I’m guessing Quinn plays a Targaryen, either Aegon or Rhaegar.